This was such a fun cake to make. It has three layers of chocolate cake inside, all squidged together with buttercream icing. The Leather is chocolate fondant. Everything is edible except for the scroll. 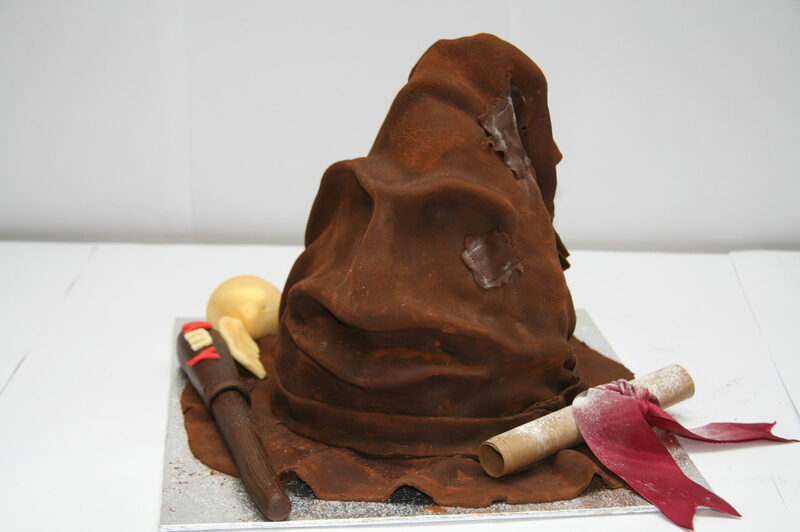 If you would like your own edible piece of Harry Potter’s magic, get in touch with Etoile!